Our latest project has been to support Scunthorpe United Football Club on their new stadium development plans. Saje Impact has been central to integrating the community and NHS into the new multi-million-pound facility that will replace Glanford Park as the home of the football club. We’re supporting local stakeholder engagement in the development and working closely with Peter Swann, the owner of the club. 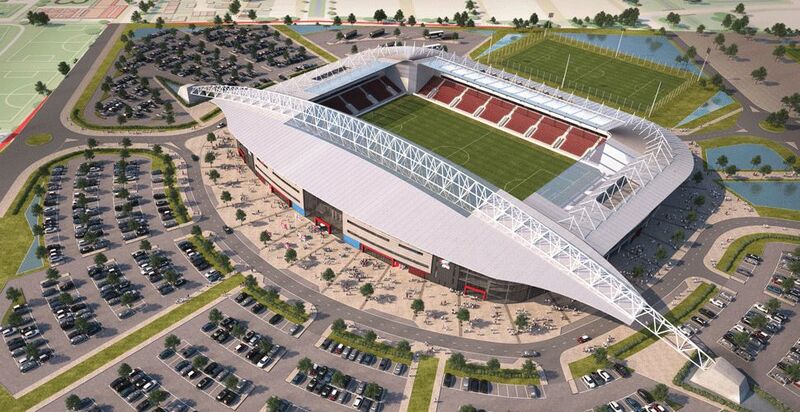 The new 12,000 all-seater stadium on the Lincolnshire Lakes development will have a club and executive facilities, a gym, office space and areas for commercial development plus a club venue and supporters’ bar. The proposed scheme aims to create a vibrant and modern development providing a real destination venue for sport, leisure and entertainment. * Video credit: fwp group have created a masterplan for SUFC's proposed stadium relocation.